In a relatively popular Daily Wire YouTube video, Sam Harris has lamented that the Bible does not condemn slavery. 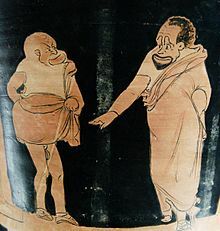 Despite Harris’s insistence that ancient societies were less civilised than our own, chattel slavery was reintroduced in the modern age by men who looked back to classical Greek and Roman civilization for inspiration. In any case, as the following ten points make clear, the Bible has no sympathy for chattel slavery and the New Testament advocates practices and beliefs which would subvert chattel slavery. 1) To repeat: the Old Testament texts are historical documents; when studying history we must remember that the passage of time creates chasms between cultures and societies. Every feature of the past must be interpreted in its own historical context. The experience of a black slave in the Confederate states was not the experience of a slave in ancient Israel. We can’t assume that Israel would have tolerated the slavery of the American Old South, or that the Slave States would have found the slavery of the ancient Israelites profitable or useful. 2) The slavery described by the Old Testament texts was different in purpose, function and practice than the slavery of the British Empire or the American colonies. Ancient Israel was an agricultural community in which every family was one bad harvest away from starvation. Money was rarely exchanged; there was no welfare system. The slavery described by the Old Testament law existed so that workers could provide for their families in lean times. If a crop failed a father could go to work for a land owner in exchange for a loan. Or he might send his wife or children to work in another’s’ fields for food and board. In other words, the immediate abolition of slavery would have led to widespread starvation. 3) A person could also become a slave to pay a debt. There was no shame attached to becoming a slave. For example, Jacob “volunteered” for slavery, working for Laban without wages so that he could marry Laban’s daughters. While Laban certainly proved to be a cannier and craftier business man than Jacob, he could not treat Jacob as a piece of property. Jacob, and other patriarchs like Joseph, feel no shame for being slaves. 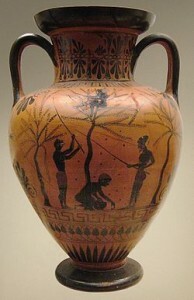 In fact, slaves could hold positions of great importance in the Ancient World. 4) This “indentured servitude” has closer parallels to the life of peasantry in the feudal system than the chattel slavery championed by Athens, Rome, the early British Empire or the Confederacy. Life-long servitude for Israelites was strictly prohibited (Exodus 21 v 1-4). It was illegal to kidnap a person to sell them into slavery (Ex 21 v 16). An escaped slave was to be given refuge by whoever they sought refuge with (Deut 23 v 15-16). An assailant was to be executed if their victim died as a direct result of a beating (Exodus 21 v 18-21); it did not matter if their victim was slave or free, foreigner or Israelite. If their victim recovered they were not to be punished – but any slave would go free if they received a permanent injury, such as the loss of a tooth(Exodus 21 v 26-27). 5) Slaves could marry one another, but could not leave until both had paid their debts. Kidnapping and slave-trading were forbidden, but foreign slaves could be purchased in Israel. If they were not ransomed, or if they could not save enough to purchase their own release, they could remain slaves for life. However, they were within their rights to flee from their master if they were mistreated – and other Israelites were under an obligation to give them shelter. If they converted to Judaism, then they would be set free. Chattel slavery cannot operate when slaves have such a wide range of legal protections. 6) The Old Testament Law seems to have shaped the Paul’s mind on the matter of slavery. A runaway slave named Onesimus sought shelter with Paul. This placed Paul in a dilemma. On one hand, the Torah taught Paul that he had an obligation to shelter a runaway slave and Onesimus had become a Christian since he had fled his master. On the other hand, Paul taught Christians to obey the law of the land – and Roman law insisted that runaway slaves be returned. Furthermore, as a Christian Onesimus had a duty to keep the law and return to his master Philemon – who also happened to be a Christian. So Paul wrote an impassioned public letter to Philemon and his church. Paul publicly obliged Philemon to treat his slave, Onesimus, as a brother. Paul also insisted that he should treat Oneismus just as he would treat Paul himself. As Paul was in chains at the time, and Philemon should want to free Paul, the implication was that Philemon should free Onesimus. Philemon would have suffered significant public dishonour if he did not follow Paul’s instructions. 8 ) Generally, the Pauline epistles subverted the way readers thought about slaves and masters. The world judged slaves by how useful they were to their owners. Christian slaves were not to think this way. Rather, they were to remember that they were truly working for a master seated at God’s right hand. And Christian slaves would have been delighted to hear Christian slave owners being reminded that they too were slaves who would be judged by their heavenly master! They would also have been overjoyed to hear that these same masters had a duty before God to treat slaves fairly and to provide for their needs – if these masters did not wish to suffer God’s judgement! Slaves, obey your earthly masters with respect and fear, and with sincerity of heart, just as you would obey Christ. Obey them not only to win their favour when their eye is on you, but as slaves of Christ, doing the will of God from your heart. Serve wholeheartedly, as if you were serving the Lord, not people, because you know that the Lord will reward each one for whatever good they do, whether they are slave or free. And masters, treat your slaves in the same way. Do not threaten them, since you know that he who is both their master and yours is in heaven, and there is no favouritism with him.” Ephesians 6 v 5-9. So slaves would know that their masters were either slaves to Christ or in rebellion against him. They would also know that God would not respect a person’s social station when he judged the world. He was only concerned with a person’s relationship with his son. There was a fundamental equality of persons before the eyes of God. So in Christ Jesus you are all children of God through faith, for all of you who were baptised into Christ have clothed yourselves with Christ. There is neither Jew nor Gentile, neither slave nor free, nor is there male and female, for you are all one in Christ Jesus. If you belong to Christ, then you are Abraham’s seed, and heirs according to the promise. Galatians 3 v 26 – 29. 9) 1 Timothy 1 v10 groups slave-traders with “law-breaker and rebels, the ungodly the unholy and the irreligious.” This reflects the Old Testament ban on kidnapping persons for the purposes of selling them. Notice: the Pauline texts expecting slave-trading to disappear with the advance of Christianity; furthermore, those in slavery were to seek freedom. If these rules were followed, then the growth of the Church would have undermined the slave trade – perhaps critically. 10) What about the “household codes” which seem to allow for slavery? Slaves were part of family life, and Paul was addressing household slaves and those who owned them. He encourages harmony, good working relationships and demands that slave owners be kind masters. Paul never directly addresses anything like the brutal, dehumanising treatment of the slaves who worked in the Empire’s mines: but his opposition to cruelty should give us a clue to what he would have said if someone had asked him. We must remember that abolition was an unrealistic and unthinkable goal in Paul’s age. The immediate emancipation of all slaves would have led to widespread poverty and even starvation. Perhaps a third of the population was enslaved in the Roman Empire. Campaigns of civil disobedience were not possible under Roman law; a revolt would have ended in mass slaughter at the hands of the Roman legions. And slavery did provide an important means of social support for those who fell into debt or poverty. So while Paul has no love of slavery, he aims to moderate and subvert its practice rather than abolish it in one revolutionary sweep. This entry was posted in Christian Theology, Quick Thoughts and tagged Difficult Texts, Faith and Reason, Moral Monster, Slavery, The Bible Tells Me So!. Bookmark the permalink.